Flag of the Celtic Nations, featuring the the flags of the seven Celtic Nations. Flag size: 150x90cm (5' x 3'). 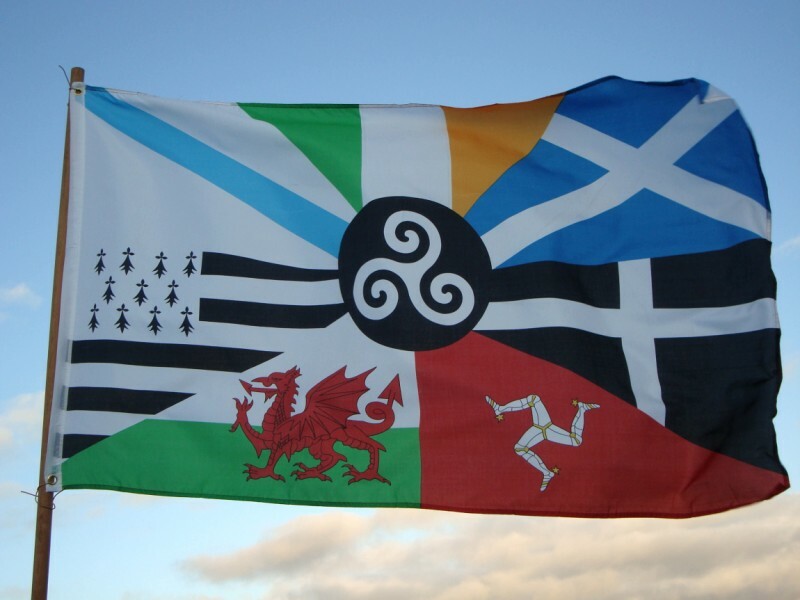 Flag of the Celtic Nations, featuring the national flags of Ireland, Scotland, Wales, Isle of Man, Galicia, Wales, Brittany and Cornwall. + Blass eyelets and double stitched for extra strength.